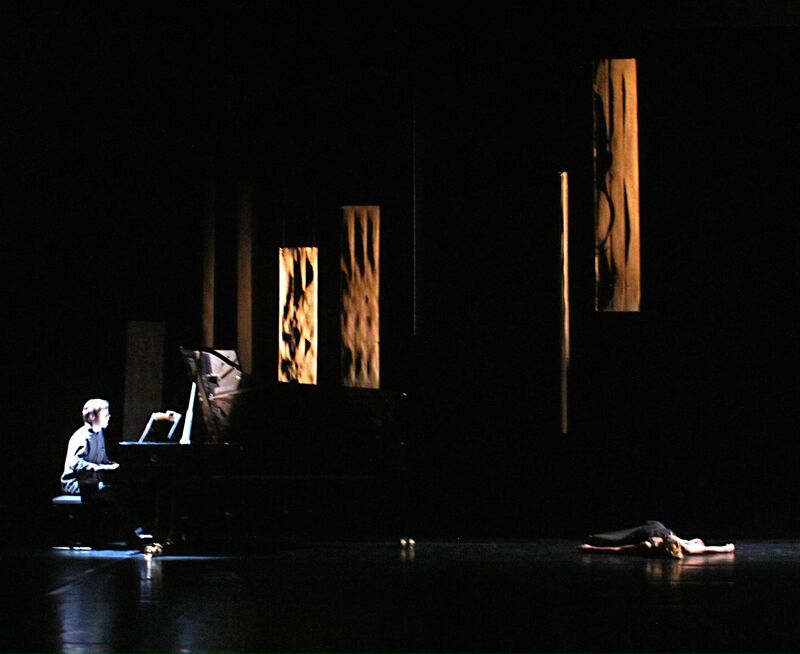 ‘Contrary to the organ, the piano appears to me to be much more a ‘spatial’ than a ‘physical’ instrument. 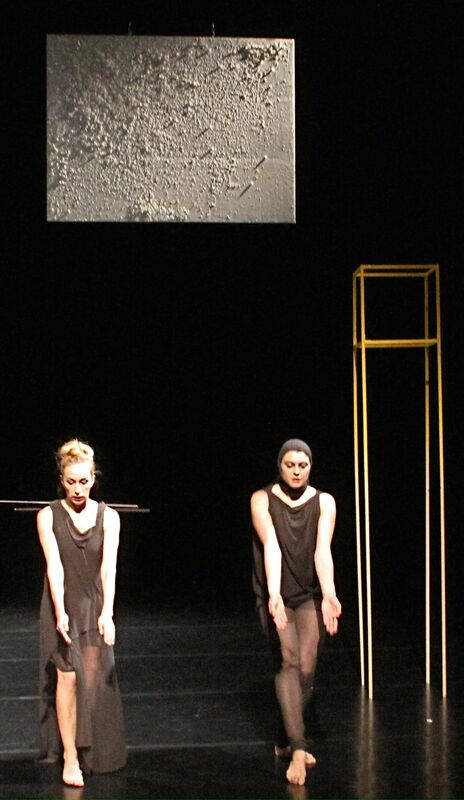 That feeling is choreographically elaborated. 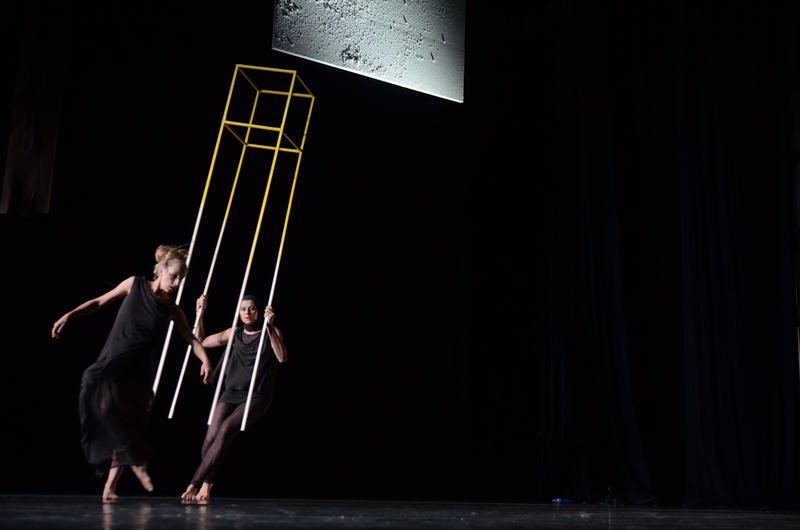 With ‘Making the skies move’ I explore invisible layers in space. 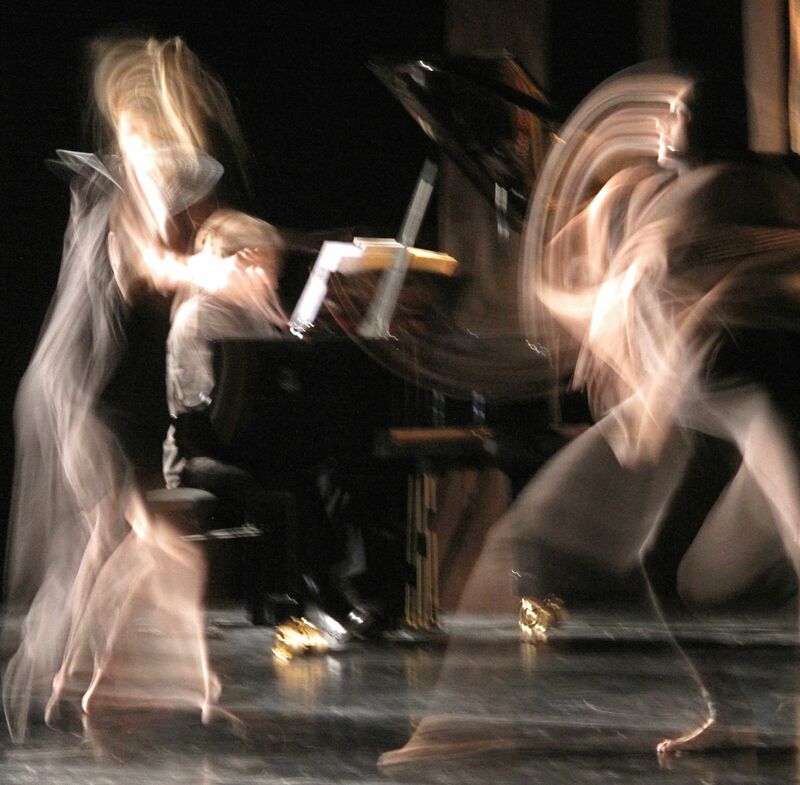 I imagine how, with each movement and with each musical note, invisible particles are moved through the layers of space. Gently I slice through the space. From bottom to top, from dark to light. 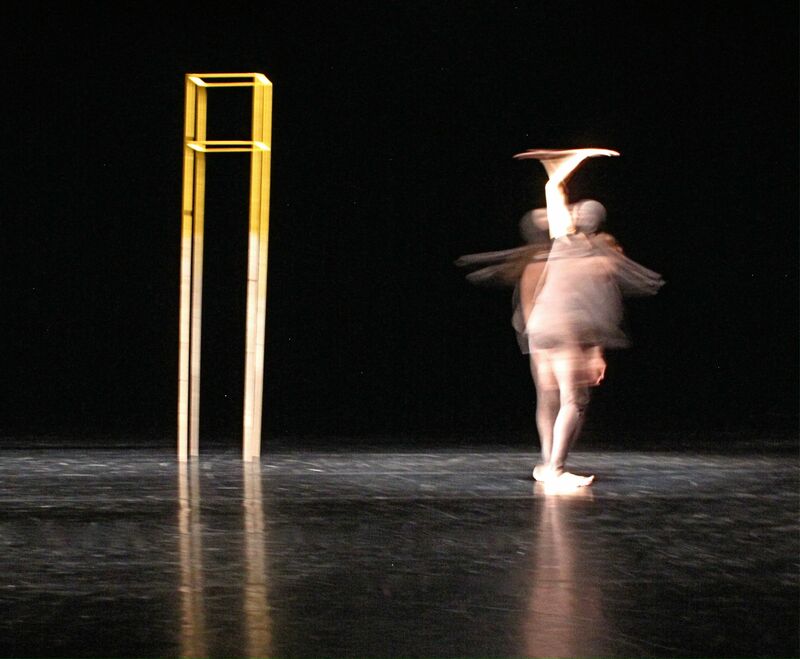 The dance originates in breathing resistant mass, trying to find, through a circular motion, an almost endless projection in space’ (Pé Vermeersch). 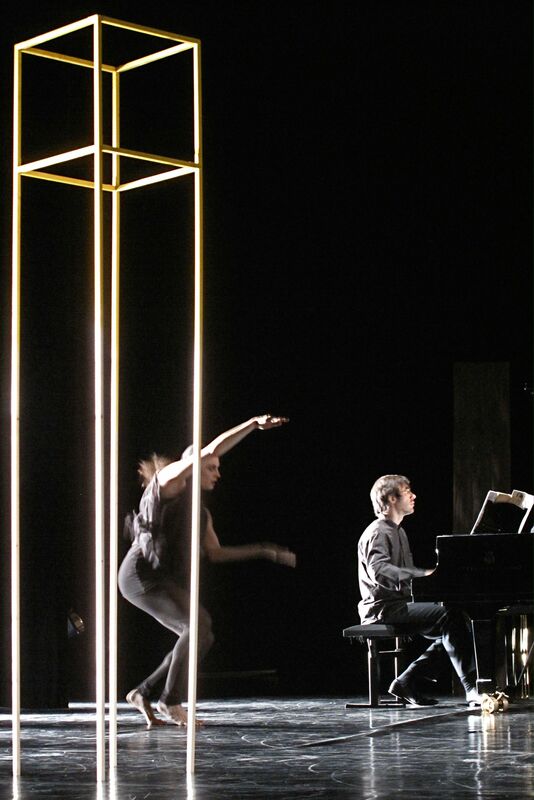 In this version for the scene (2011) Pé worked only with the piano music of Olivier Messiaen. 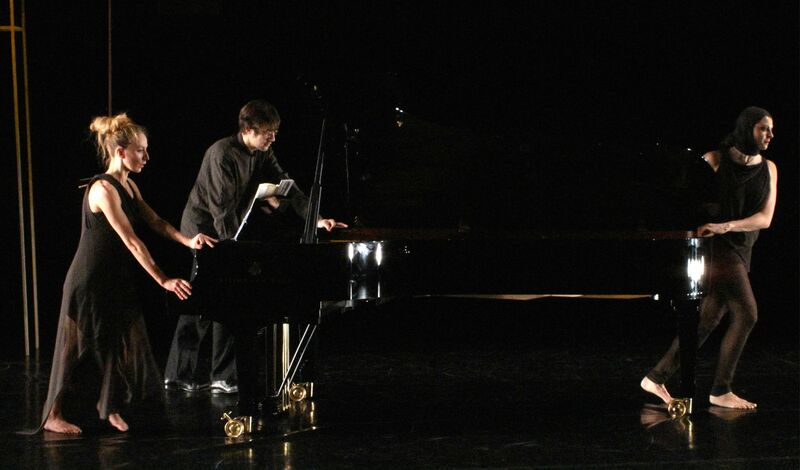 Piano music so rarely heard and even fewer times put in relation to dance. 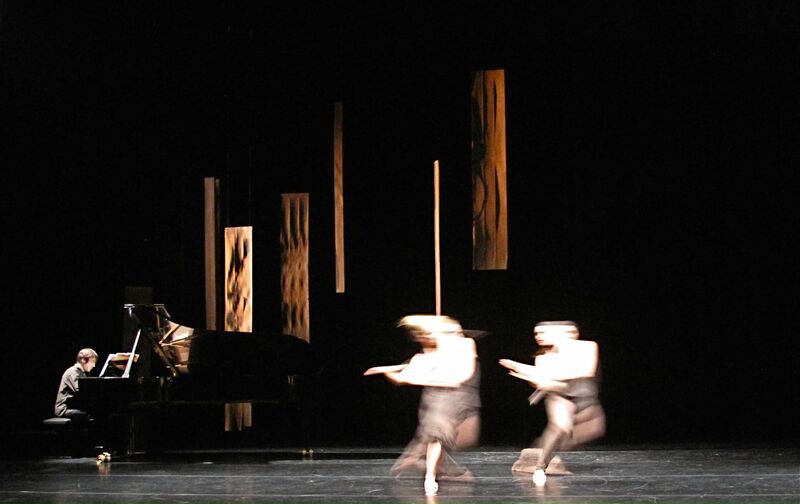 Dancers and pianist look for a fragile, almost etheric beauty arising from a shifting and dissonantly grounded feeling so typical of the compositions of Messiaen. 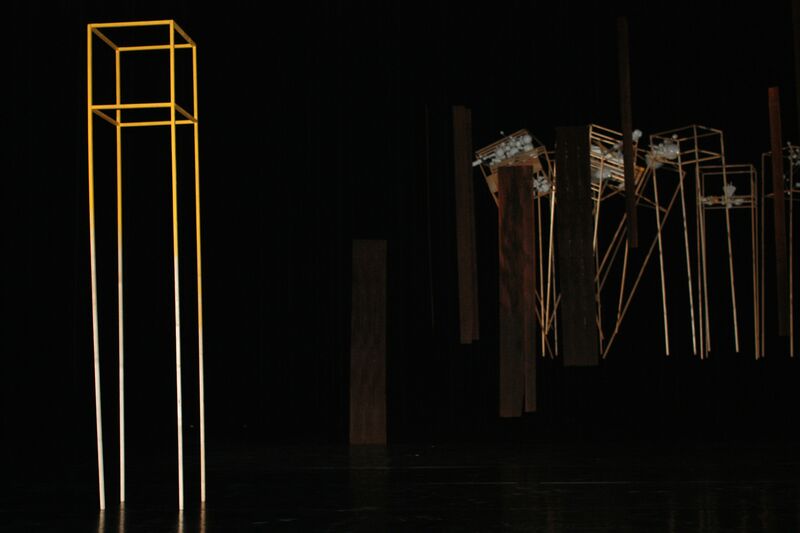 ‘Making the skies move’ is also an installation, a visual work already initiated in 2008 and elaborated with a wider selection of piano music. (see section mixed media). The installation is elaborated here in a scenographical way and consists of a multitude of three-dimensional, wooden frames, sometimes empty, and sometimes filled with painted white particles and creatures. In a naive and tender way it tries to hold what dance and music try to move : the skies. 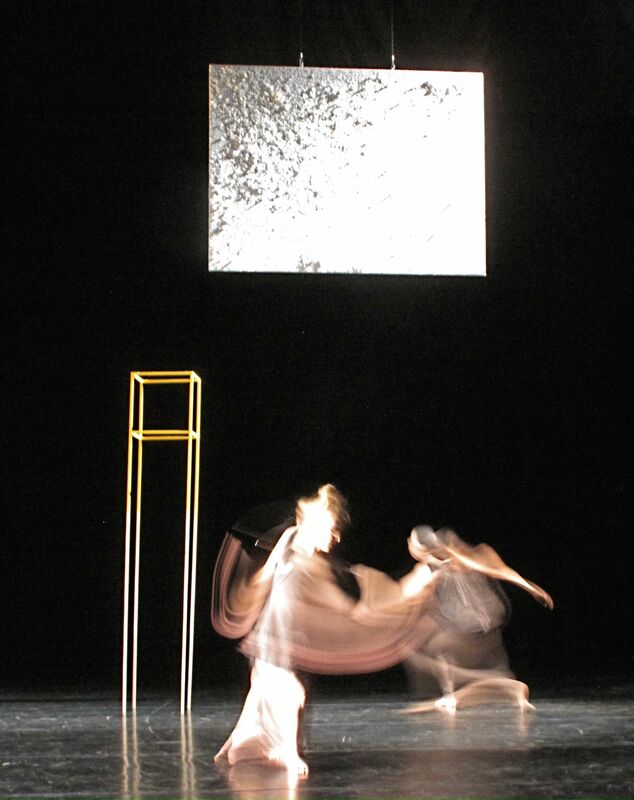 ‘Making the skies move’ can be perceived also as a danced concert with lots of space for the musician’s implementation. 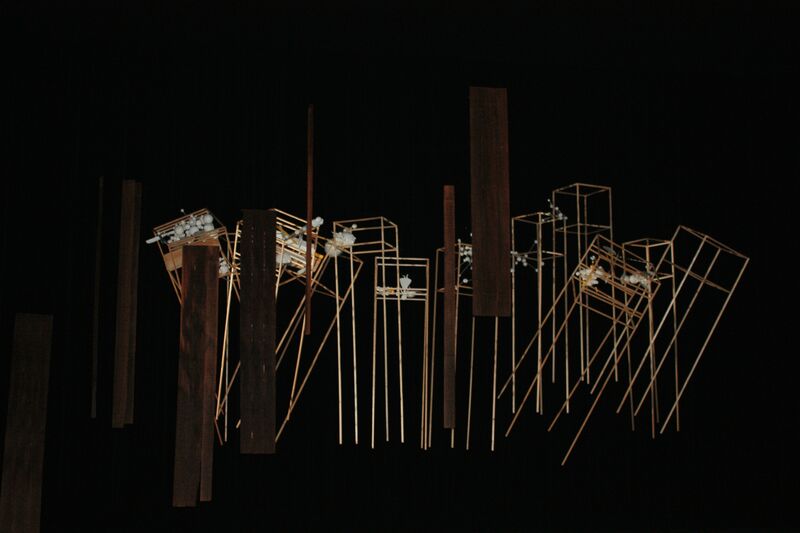 In a next version I would like to enlarge the piano repertoire with other contemporary composers without losing the idea of ‘making the skies move’ … Making the skies move is visually always connected to the original installation.